Get the best deals with these amazing black Friday sales and codes! Happy Thanksgiving! I hope you all had a wonderful time with family. We're very fortunate to live within a few miles from most of our family and were able to spend time with everyone. Our hearts and bellies are full and now it's time to sit back, relax and snag some amazing Black Friday deals! 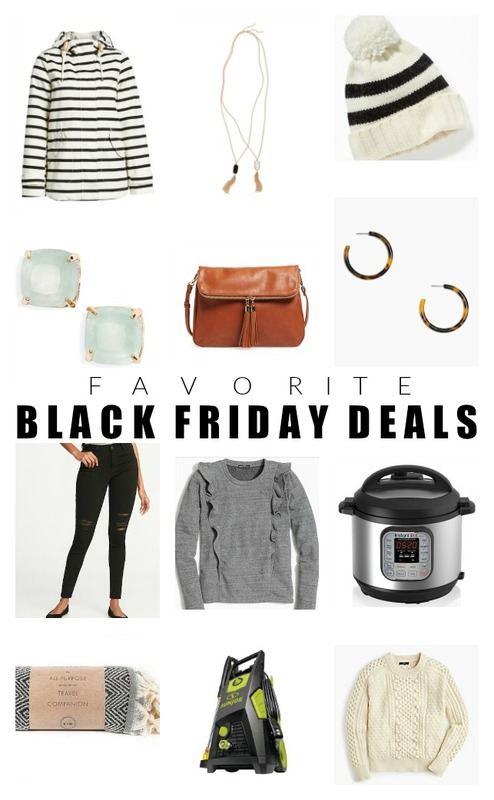 I wasn't going to write a Black Friday blog post, but since I didn't go out shopping tonight (and don't plan on tomorrow) I thought I would share a few of my favorite items that I either own, plan on purchasing or simply think are great deals. I already snagged the black and white waterproof hooded jacket, ruffle trim sweater, brushed microfiber sheets (these aren't on sale, but they are a great price!) and the crossbody bag. Last year, we purchased the electric pressure washer and it's been a total game changer when it comes to cleaning up around the house. It's lightweight and easy enough for even my son to use. We also purchased a few attachments to be able to easily wash our cars and deck. I also own a Cricut, but sadly I've only made it as far as taking it out of the box. To be honest, it really intimidates me. I hate reading directions and have no patience when it comes to learning something technical. With that being said, I have promised myself that I'm finally going to take the time to figure it out and create some fun projects. WORLD MARKET: Many items BUY ONE GET ONE! COLUMBIA: 25% OFF and FREE SHIPPING! L.L. BEAN: 20% OFF clothing and outerwear with code "THANKS20"
Look great deals. Thanks for your suggestion and offer! Going to grab one now.